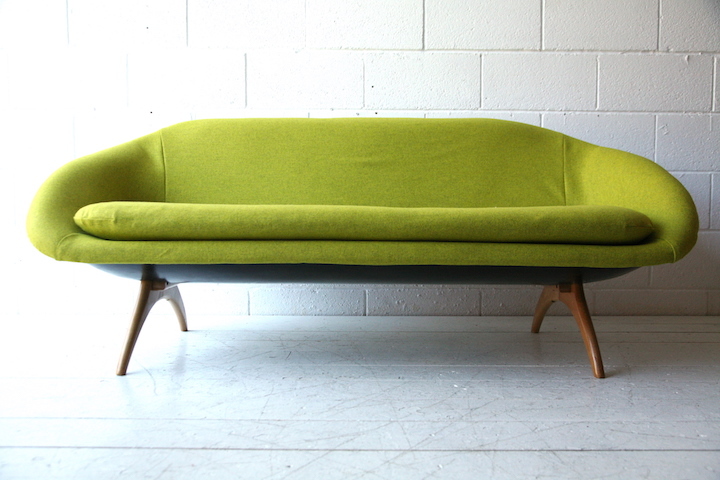 A beautiful 1960s sofa by Lurashell UK. 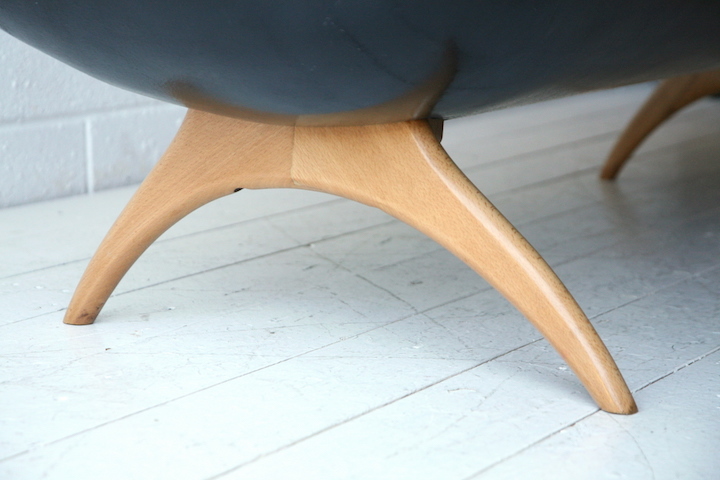 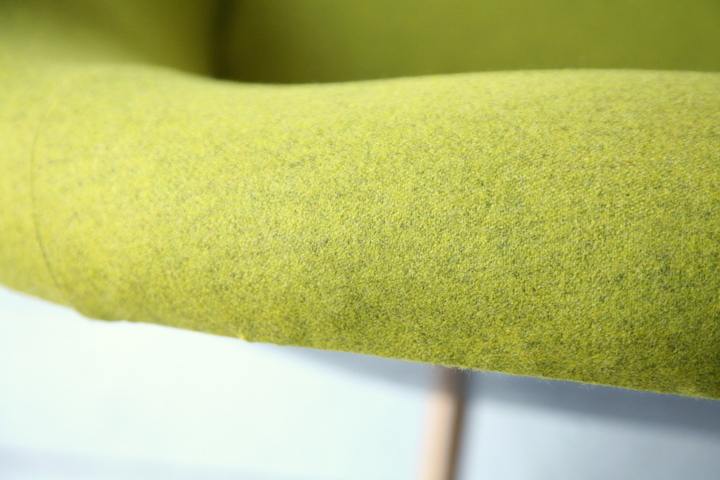 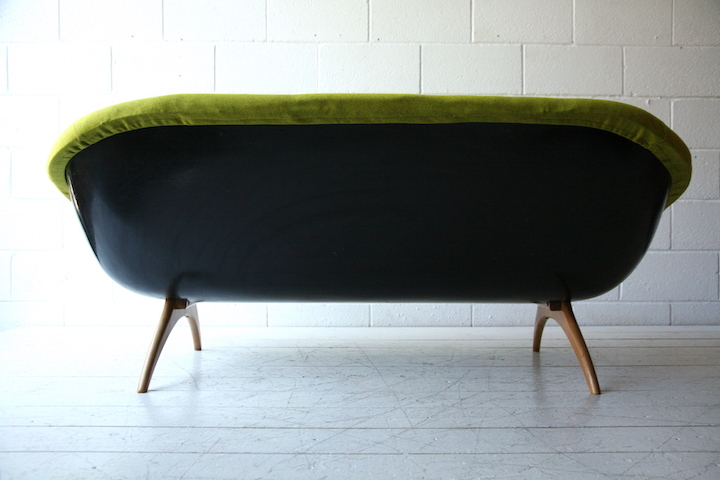 With black fibreglass shell, new green fleck upholstery and sculpted beech legs. 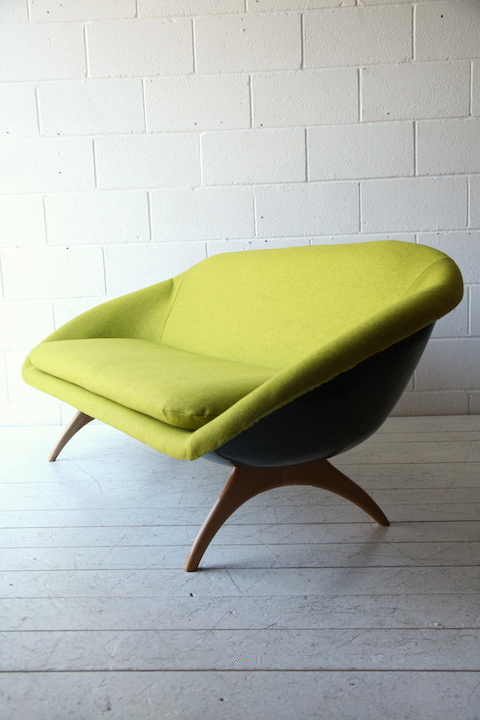 A comfy 3 seater sofa in good vintage condition with some light age related wear on the black shell.